The Vitriturf TK System is a unique poured in place safety system designed to be applied over most substrates including grass, hard pan dirt, compacted stone and sand. This patent pending system utilizes a welded wire mesh, and a unique polyurethane binder, Vitriturf TK Binder. The TK System can be utilized with the various Vitriturf Systems. 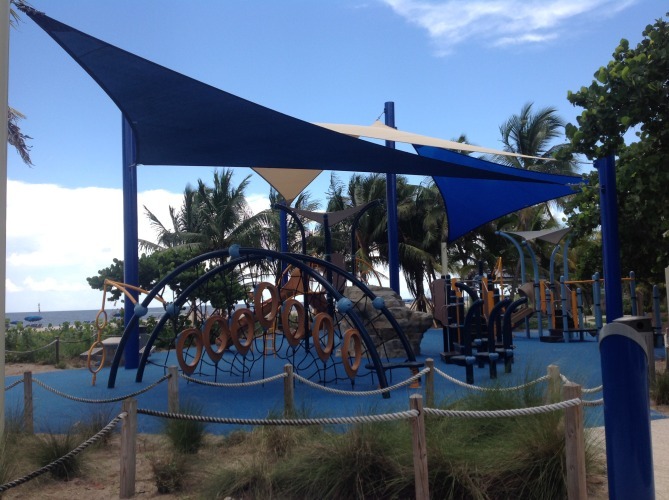 Pompano Beach Park in Pompano Beach, Florida utilized the TK System over a sand sub-base. 1. Reduces the cost per square foot of the total poured in place system. 2. 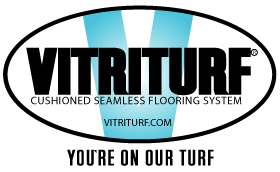 Allows for quicker installation because the Vitriturf crew provides the sub-base and system. 3. Meets the same requirements for shock attenuation, slip resistance as the standard Vitriturf System.